Firm brown cardboard hamper box complete with lid. 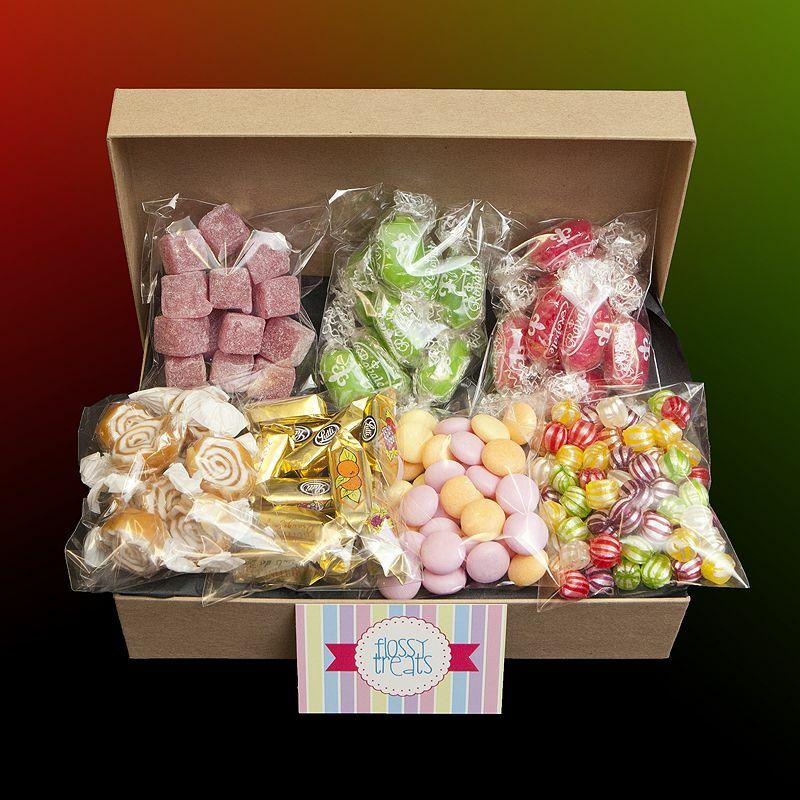 Contents include traditional sweet favourites - Strawberry Sherbets, Fruit Bonbons, Fruit Chews, Toffee Swirls, Chocolate Limes, Fruit Rounders and Cola Cubes. Each type of sweet is individually bagged and displayed on tissue paper with the box which is then lidded and tied with a neutral coloured ribbon. Such a great present for any sweet lover.